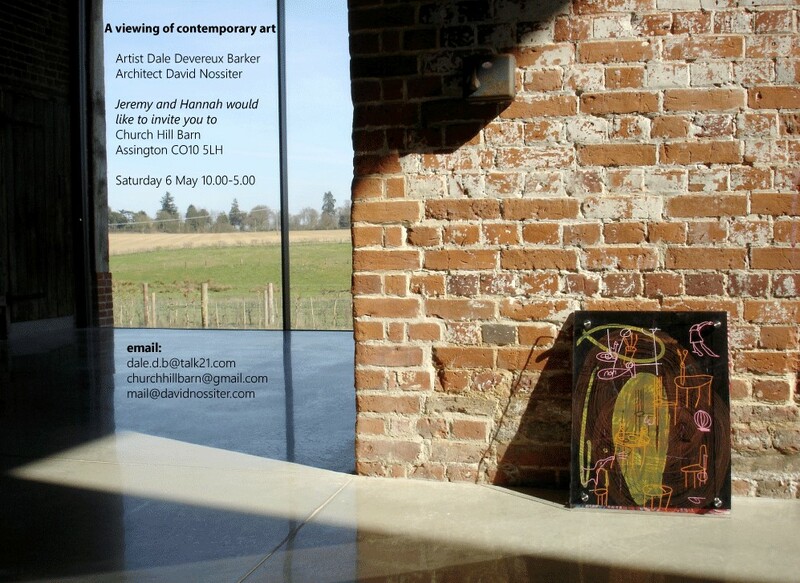 Suffolk based artist, Dale Devereux Barker will be exhibiting a selection of work within the cathedral-like volume of Church Hill Barn on Saturday 6th May from 10-5.00. Dale has exhibited widely throughout Britain and has pieces in many private and public collections, including the V & A Museum. We are looking forward to a great day out!